The following is information on Ticketmaster's latest product that we received via e-mail today. Apparently, you now have to submit an application, pre-paid, by May 15 to get ensure an opportunity to get the best tickets available to the general public. In other words, you pay roughly $193-$208 for each round 1 strip now (approx. $160 for the regionals), then, if applicants do not exceed availability, you get to purchase tickets. If applicants do exceed availability, you are entered into a random drawing. Read the official rules for 2009 Division I Men's Basketball Tickets here. There will be several more presales for tickets to see country singer Martina McBride as she heads out on the Waking Up Laughing Tour. Keep an eye on this page as we bring you all the latest presale news for the country superstar. Country legend Merle Haggard has been playing music since the 1960's, and you can catch him touring North America later this year. Keep an eye on this page for the latest updates and presale codes. You have reached an outdated page. For current presale password information, please visit our recent presale password lists. 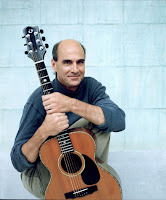 James Taylor has announced plans for a lengthy North American tour in 2008. Check out the details below for all the latest presale news. 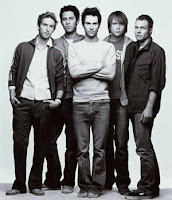 Maroon 5 are touring in 2008 behind their sophomore album, It Won't Be Soon Before Too Long, so check back to this page for the latest presale updates, including presale codes. Check the Counting Crows presale page for even more passwords to see Maroon 5. 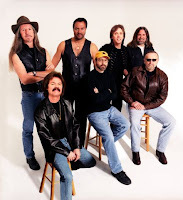 The Doobie Brothers are reuniting in 2008 for a summer tour of North America. Check back to this page for the latest news and presale codes. To view all artists who have information updates for presales today, please click here. If you don't see a password you are looking for, please check back right before the presale start time as we often have late morning announcements. Thank you for using Ticket Horde! 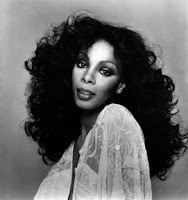 Queen of Disco Donna Summer has announced a few dates of shows in the next few months. We'll keep you posted with the latest presale news, just check back to this page. Comedian Jim Gaffigan, who you might recognize from various roles in movies and on television or from his appearances doing stand up, will continue to tour in 2008. Keep an eye on this page for upcoming show and presale news. The Outside Lands Festival will feature Radiohead as the headliner and will include performances by Beck, Manu Chao and the Black Keys. Get your presale tickets April 30. The Allman Brothers Band will return to the Beacon Theatre for their annual run of dates at the intimate venue. This time the shows will take place in May, a little later than usual for the band, but the presales begin now. Take a look at the presale info below, and be sure to check back to this page for all the latest Allman Brothers Band presale news. 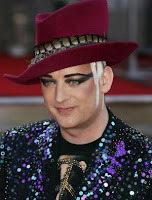 English singer Boy George has been keeping a (relatively) low profile the last few years, but he'll be touring in 2008, so be sure to check back to this page for the latest presale and tour info. 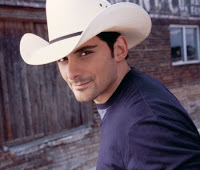 Country singer Brad Paisley released the album 5th Gear in 2007, and in 2008 will be going out on tour. Check back to this page for concert updates and presale codes. Country singer and American Idol alum Carrie Underwood will be going on a headlining tour, in addition to the shows she'll play with Keith Urban. There will be a few presales in upcoming weeks, so be sure to check back to this page as we find and display more information.